In the spring of 2019 Kelly will be exhibiting 2 paintings at the MEAM Museum in Barcelona, Spain for their Painting Today, International Women Painters Exhibition. Her painting Guarding Her Heart was exhibited at the 2018 Annual National Juried Exhibition at the Wausau Museum of Contemporary Art in Wausau, WI. Her painting Homage to New York was exhibited at the American Women Artists 2018 show Perspectives of the American Experience at the Rockwell Museum in Corning, N.Y. Her painting Venus contemplating her adolescence was exhibited at the Poets and Artists show “Visions of Venus/Venus’s Vision in April, 2018 at the Zhou B Art Center in Chicago, IL. Kelly’s painting The City Awaits received the Award of Excellence at the American Women Artists 2017 Exhibition at the Tucson Desert Art Museum. She was also awarded 2nd place at the Portrait Society of America’s 2015 Juried Exhibition in the Still Life Category and Honorable Mention at the Portrait Society of America’s 2012 Juried Exhibition. She won Best of Show Award in the CT+6 2012 Juried Exhibition at the West Hartford Art League. 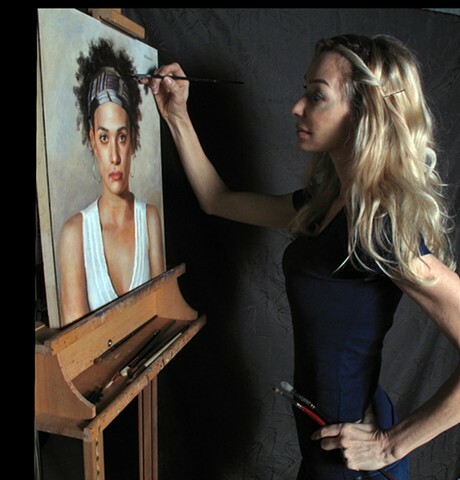 She was a Finalist in the Art Renewal Center’s International Salon in 2011, 2016 and 2018. Her painting Limes and Laughs has been selected as a finalist in the Still Life/Interior category of The Artist’s Magazine 33rd Annual Art Competition. Artists Magazine named Kelly as Artist of the month for February 2017 and featured a profile of her for their online publication. Her work has also been featured in American Art Collector magazine. Her paintings are in public and private collections throughout the U.S.